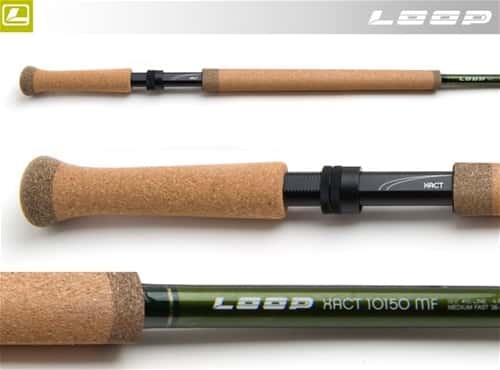 Loop Xact Doublehand Spey Rod series has a smooth, deep, medium-fast action that is both forgiving and precise. This is no traditional entry-level stick and represents a lot of rod for the money. All the technology, style and feeling at a realistic price. Triangular reel seat and cork mix handle.